If an error occurs while logging into Direct Commander, please follow these recommendations. You are not a Yandex.Direct user. In this case, you need to create at least one ad campaign in the web-interface and try logging in again. You may have set up restrictions regarding which IP-address you can access Commander from. You can change the settings on the Direct API access management page under the Parameters tab in the Permitted IP addresses field. If the error persists, please contact Support using the form below. 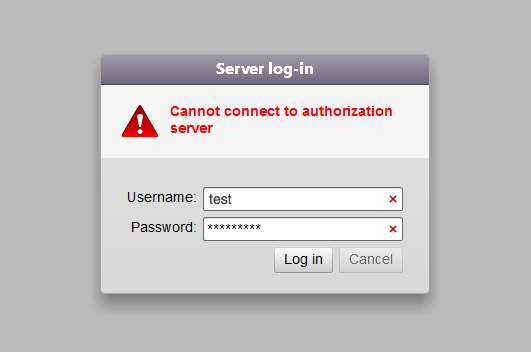 If you get the error message "Cannot connect to authorization server" when trying to log in to Commander, follow the recommendations below. Click (Service) → Internet Options in the upper right corner. Go to the Advanced tab in the settings window. In the Parameters block, the box next to TLS 1.0 should be checked. Click Service → Internet Options in the tools panel. Check your Direct API access: go to https://api.direct.yandex.ru in Internet Explorer (for Windows users) or Safari (for Mac OS users). The word "hello" should appear on the screen. If nothing appears on the screen it's possible that an antivirus, firewall, or security certificate is blocking Commander. Check the program settings and try logging in again. If an error occurs while working with Direct Commander, please use the menu item ? → Report a problem. Describe which actions led to the error and what the problem is. If this menu option is unavailable, or you were unable to find the answer to a different question about Commander in the Questions and answers section, please contact Support using the form below. Please describe the problem in as much detail as possible so that we can answer your question fully.